Thank you Corrine at Sew and Sew for nominating me for this blog award! Corrine and I recently got connected here and we have common understanding about certain aspects of life and importance of support and empathy. Plus, have you seen her projects – she sews! I sure am inspired by many of her sewing adventures and by her warm personality. Have a look at her blog if these features of her interest you. I am usually skeptical about this kind of blog awards, primarily because I do not know who is benefiting by the circulation of these awards. But I am happy with recognizing and saying nice things about other fellow bloggers, and telling a little bit about myself along the process. So I will go for this one, too. Nominate 11 new blogs to receive the award (making sure each one knows they are nominated) and write them 11 new questions to answer. If you could choose a language to be fluent in, which would it be? Italian! i always wanted to learn it, especially after I spent a couple of months in Italy when I was young. What a great, magical language. Allora! What song can you not get out of your head at the moment? “I dreamed a dream” from Les Miserables has been in my mind the entire day. Sad, but beautiful and powerful…..
What is the best gift that you have received? My mom gave me a gold necklace for my 18th birthday with my initial on the pendant. My mom was working very hard to provide for us at that time. It must have been so hard for her to come up with the money but she had…. I value that necklace more than anything else. If you were a superhero, what would be your superpower? Heal. I would heal sickness. And, here are my nominees! Deb from https://onceuponahotflash.com/. Her daily grateful posts are a must see! She is really nice and I know that she always has some positive and wise things to say – thanks Deb! https://quercuscommunity.com/2017/04/18/random-reflections/ here is a nice gentleman with an interest in photography and community work. He is quite fun and wise too – always a delight to follow such bloggers. No nonsense and all beautiful/meaningful posts. https://apparentlyimbipolar.wordpress.com/2017/04/17/normal-is-it-scary/ I recently started following this young lady who is writing about her mental health issues and progress. I applaud her for increasing awareness about mental health/bipolar disease – so well done. NinaSusan at https://ninasusan.com/. Ninasusan and I have a common pursuit in life – happiness! One of my best friends here at blogger space – always understanding, wise, and supportive. Thanks Ninasusan – one day, we will shine thru that happiness!! Jennie at https://jenniefitzkee.com/. She is a teacher and always have something wonderful to say about children and teaching/learning. I wish she was my teacher when I was at school. Cheryl and Becky at https://beckyandchaos.wordpress.com/2017/04/15/spicy-lentil-soup/. These ladies have awesome travel adventures and always great recipes. They lately started a challenge to try a new recipe every week, which I find very inspiring. Enjoy! Anne from https://snowbirdofparadise.com/. Anne is one of those bloggers whom I respect quite a lot. She has always been wise in her speech and her comments, and is not afraid to write excellent pieces on social issues and events. Mo from http://devisecreateconcoct.com/. Another great site about frugal life and all bunch of other stuff such as DIY projects. Check it out. What do you think is the most beautiful thing about your life? Do you prefer warm or cool climate? If you were to protest, what would it be about? What flower do you like most? Please tell us about it. We all have dreams – have yours materialize in your life? What was your biggest dream ever? Would you see yourself living in a homestead sometime soon? Tell us about your favorite dish/food. Which one is less intimidating – singing or acting in front of 1,000 people? What would be your advise about being happy? Once again, I am humbled by one of my fellow bloggers, Jennie at A teacher’s reflections, by being nominated for a blogger award. Jennie is a long-term teacher with a sharp focus and compassion for education. I always admired and respected teachers, and I am happy to follow Jennie to learn about an teacher’s wisdom and observations in education. Thank you very much for this nomination Jennie. 5. I have got a PhD degree. I studied for a very long time with little pay, but also got to live and work in many different countries, obtained many incredible skills and experiences, and constantly try to benefit the humanity as a whole through my work. 6. English is my second language. 2. Melanie at https://1000needles.com/. She makes amazing quilts and I like her kindness very much. Create ten questions for your nominees, and notify them of their nominations. What’s your favourite book and why? There are a number of books that left a huge impression on myself. If I must select one, today I am selecting “Crime and Punishment” by Dostoevsky. This great Russian writer not only understood the pain and darkness in human psyche, but also brilliantly penned it down. Great novel. Great writer. If you were a superhero what would your power be? Healing sick people, including mental ones. 1. When was your last decluttering activity? 2. Are you a minimalist? Why? Why not? 3. What types of exercise are your favorites? 4. If you were to cook now, what would it be? 5. Having dreams are wonderful – care to share one of yours? 7. Do you think that after a while (above 30), it becomes harder to make friends? 8. What is your favorite movie? Why do you think you like it that much? 9. Do you get stressed easily (like myself) or are you usually a calm person? 10. What have you done (or not done) today that you would like to thank yourself for? 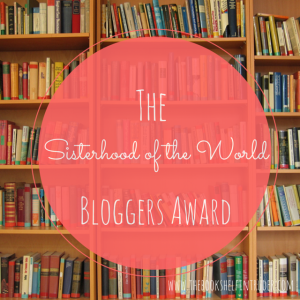 🙂 Bonnie has nominated me for the “Sisterhood of the World Blogging Award”, which I gladly accept :). Bonnie has a lovely blog that focuses on healthy life. *It does not particularly say “prepare 10 questions for the nominees; but I guess that is what it is and I will integrate this into my post here. What was your favorite childhood book? Andersen’s fairy tales! Are you a night owl or a morning person? Absolutely night owl; there is such a unique serenity and peace at nights that I love it! What is your favorite holiday? New year! It is fresh, signals closure of the past, and opens up for the new year. I know it is just symbolic but I often spend the days prior to the new year with such contemplation (not necessarily the new year resolutions). It is a great time for me. What is the last book you read? Big Magic by Elizabeth Gilbert. I grabbed it at an airport out of boredom. It focuses on writing-life challenges of writers. Certain parts I do not agree with (seems too unrealistic or unlogical), but it certainly was an easy read and even though I am not a writer, some stories and opinions can be related to other aspects of life. 1. Which one of these you would like to imagine yourself in right now; beach or forest? 2. What are the 5 values you would like to see in the next generations? 3. How would you like to be on a TV show? 5. Is there any time that you have been kind to a stranger? 6. What is the most important financial issue you are tackling right now (if you are tackling)? 7. If you must, which one of the followings would be your favorite exercise – walking, jogging, or team games such as basketball? 8. Imagine you have a lovely cat; it is a hunter (naturally) and brings in and leaves a dead mouse in front of your front door. Would you freak out like me at the sight of the mouse or would you pet your cat, making sure it feels great because it brought its gift to you? 9. How do you think we can set our minds to become more grateful, kind, and cheerful? 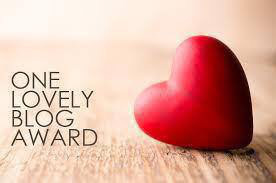 One again, I am humbled to be nominated for a blogger award, this time to “One Lovely Blog Award” :). Thank you Jo for nominating me to this award and enabling me to recognize and connect other bloggers through my nominations. Jo and I are just recently connected here and I like the open and honest discussions she has about life, her life, health, and progress as she goes thru healing, self-reflection, and self-development; you may want to check her blog yourself. I would like to be an advocate for cancer patients, caregivers, and long-term survivors. I am going through a “middle age awakening”; I will dump the things and people that do not serve me well and replace them with things and people that make me happier, calmer, more content, and more alive. I want more meaning in my life and no regrets. I have one life and more than half of it already passed.. I just prepared a video clip to thank a previous mentor of mine to be screened during her retirement party! I loved the idea and I hope I could make it clear how appreciative I have been and how deeply my mentor has influenced my life journey and made things possible for me. I hope she will like it. I have an habit of buying multiple copies of the things I like; like the same clothes, shoes, or stationary items; If I love, I would like to have them for a long time. I never got bored of them, even though it may take years to wear them down. I can make difficult decisions using my logic; but the emotions of course may remain unsatisfied and demand attention, even after a long time. 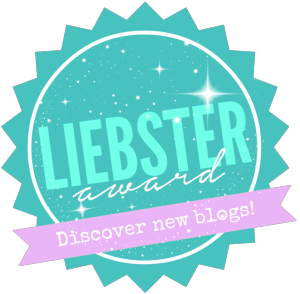 I am once again humbled by being nominated to a blogger award – this time by Saadia Peerzada 🙂 for the Liebster award. I am okay to respond to blogger awards as they are a nice way of help connecting fellow bloggers. Okay, 11 facts about me 🙂 I wrote a post about it before – it can be found here. How will you classify your eating habits: unhealthy, moderate or healthy? Somewhere in between unhealthy and moderate. I do not eat sweets, fatty food, or chocolate etc. BUT I have a problem with eating too much bread and other refined carbs.. My struggle with healthy eating can be found in my daily posts under the “healthy life – style journal” page. Are you a technology obsessed? Why or why not? Nope. Not at all. I have no explanation for that. Favourite quote? None. I have no particular one that I keep remember. What are your thoughts on discrimination? I have a strong stand on this. I have experienced myself discrimination and I am still very sour about these experiences. When will we start seeing people for who they are rather than what they are? This “us versus them” mentality should disappear. We have more things in common than different. Peace. What have you done today that has made you happy, joyful, or excited? Is Friday your favorite day, too? It took me years (literally) to find the right floss for me; do you have such an experience you would like to share? How many shoes do you currently have? How many did you not use in the last 1 year? What are your opinions on minimalism? if there was one advice you could share with us about living a simple life, what would that be? Which one do you like most and why? Novels, poetry, movies. List one meal you are very fond of. House chores – on a scale from 1 (least) to 10 (most), how much do you like them? Who is the most influential person in your academic life (e.g. school or profession)? I thank howtostuffyourpig.com for nominating me for the Sunshine Blogger Award 🙂 howtosttuffyourpig is one of my all-time favorite bloggers who writes about a variety of interesting topics – from personal finance/savings to managing debt to cooking and all (very practical tips as well). Perhaps you would like to check her website! Please do – you likely will not be sorry for your time. Who is your favorite author? Recently Tess Gerritsen. She is a physician by training and writes excellent crime novels. I am sincerely in awe with her writing as well as the plots that always surprise and delight me as a reader. What is your favorite food/recipe? My favorite food is bread 🙂 Although I gotta cut it out from my diet to lose some unhealthy level of fat. If you could travel anywhere in the world, where would you go? Other than home? I always wanted to visit and live in Caribbean or South American countries. If you could change one thing about the world, what would it be? Diminishing violence. http://alienblob.com/ I know she will not respond to this nomination (previous experience 🙂 ) yet MeRaw is one of those bloggers who has always been genuine and lovely in her posts and interactions. I have great admiration for her strength and insight. What is the most interesting blogging experience you have had? If you were to be given an extraordinary amount of cash, what would be the first thing that appear in your mind? What do you think about frugality and what are your best advice to achieve it? Have you ever had a pet? What is your most cherished memory about it? What else do you think can be done to reduce the burden of cancer in our communities/countries/world? I am humbled once again. Thank you Deb for nominating me for the “Very Inspiring Blogger” Award. You may as well check Deb’s blog and see what she has to offer for you. Deb, thanks again for this opportunity to recognize the bloggers that I find inspiring and valuable (though the list is incomplete..). I have had a tough time selecting 10 inspiring bloggers; as far as I am concerned, I would like to nominate all of you, whom I often interact with or learn something from. Those who I miss I hope will do the favor to forgive me. Cheers everyone – keep up the wonderful work of informing, teaching, and supporting us through your posts! I have considered it a bit, while I am not sure why it is called an award, I decided it would be a great opportunity to link some of the bloggers here; I have chosen those who are affected by cancer (please see below). For this award, I have chosen the following bloggers, who post about their experiences about cancer. Cancer has an important part in my life personally and professionally. Learning from cancer patients, caregivers, and advocates through social media has been an incredible experience for me. I have great respect and admiration for those affected by cancer and I believe their “voice” in social media is highly important. 1. How do you feel about connecting to others going through cancer in the social media? 2. Do you think connecting to other cancer patients would be useful in supporting you and them while going through the disease? 3. What are the words, sentences, or questions you think are appropriate to hear from others when they first learn one has cancer? 4. Do you have care-givers? or Are you a care-giver? 5. What kind of support would you like from cancer-related organizations and the government? 6. Do you think you sharing your experiences in the social media help others going through similar experiences? 7. What is your favourite book? TV show? 9. What is your favourite breakfast? 10. Do you have artistic creations, such as poems, stories, drawings, paintings, and hand-crafting? 11. Is there something you would like to share about your experience with cancer? 1. What inspired you to start blogging? I had things to say. 7. Do you keep a diary or journal, if so what would you do/ how would you feel if someone read it? I do have a joy journal that I post here. I am happy to share it with the world and I hope it will inspire others to write their own joy journals.